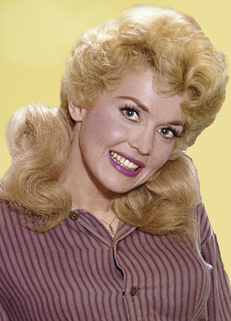 Quote: Donna Douglas, best known for playing Elly May Clampett on The Beverly Hillbillies, died Friday morning, according to NBC 12. She was 81. 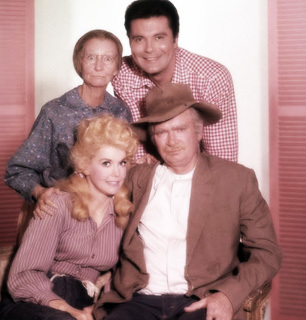 Elly May was close to 30 in the 1st season of the Beverly Hillbillies. Yesterday, I was both taken aback and saddened to learn that the founding member of the group Manhattan Transfer had died in October. This is a group that I've enjoyed for many, many years -- and have seen perform live 3 times. While the group's repertoire is large and varied, it was its vocalese and a cappella that arrested and held captive my attention lo, these many years. While not performing only vocalese, which was what Lamberts, Hendricks, and Ross did, I think this group either kept alive or helped keep alive that concept of vocalese. In the process of keeping it "out there" for audiences, then we have Haley and Casey come along to perform Moanin. RIP El Dorado Caddy, you are my L.A. Daddy -- you are and will be much missed. Quote: Yesterday, the best-selling author and neuroscientist Colleen McCullough died at the age of seventy-seven. McCullough was one of Australia’s best-known and most popular novelists, whose success was firmly established with the publication of her second novel The Thorn Birds in 1977. It was later made into a highly successful TV miniseries starring Richard Chamberlain. McCullough followed on her success with a string of bestsellers including An Indecent Obsession (1981), The Ladies of Missalonghi (1987), The Touch (2003) and her Masters of Rome series of historical novels. McCullough’s books have sold in excess of 30 million copies. But McCullough had originally studied medicine before successfully moving into neuroscience and becoming a respected teacher at the Department of Neurology at the Yale Medical School in New Haven, CT. Here's a sexist, moronic piece of an obituary in an Australian paper. That has become the story, but she was a very accomplished woman and an excellent and prolific author. Quote: At the age of 16, in 1963, she recorded the pop hit "It's My Party", and followed it up with other hits including "Judy's Turn to Cry" and "You Don't Own Me". She also worked as an actress, and composed songs with her brother Michael Gore for the 1980 film Fame...Beginning in 2004, Gore hosted the PBS television series In the Life, which focused on LGBT issues. She stated in a 2005 interview that she was a lesbian. At the time of the interview, Gore had been living with her partner for more than 23 years.